A second neighborhood parking permit has been obtained!!! What you say? Why is this such a big News Flash? 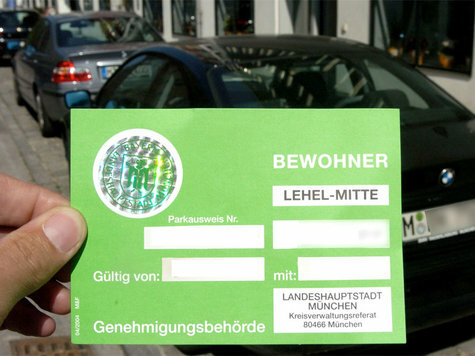 Normally there is only one Neighborhood Parking Permit (Sonderparkberechtigung) issued per household. 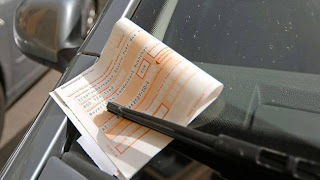 Without the permit you need to look for somewhere to park that is not a permit area. These are sometimes pretty difficult to find. Park in a permit area and you'll get a Knöllchen - Parking Ticket - and then be allowed to contribute to the economy of Nürnberg. Judith's Sonderparkberechtigung needed to be renewed, so we made a trip the the Stadtamt this morning to do so. Just for the hell of of it we asked for two permits. The nice lady said sure, why not. I could hardly contain myself I was so happy.